Infuse your home with the passion of the wilderness. With Vista Sheer Dim-out Blind. Its twin structure with alternating Sheer and ribbed/plane shades give you control over room lighting without sacrificing on privacy. 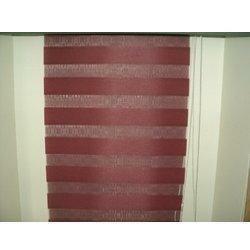 It combines the features of sheer curtains, roller blinds and Venetian blinds. Vista Sheer Dim-out blind’s range of features makes you the king of control when it comes to room ambience.